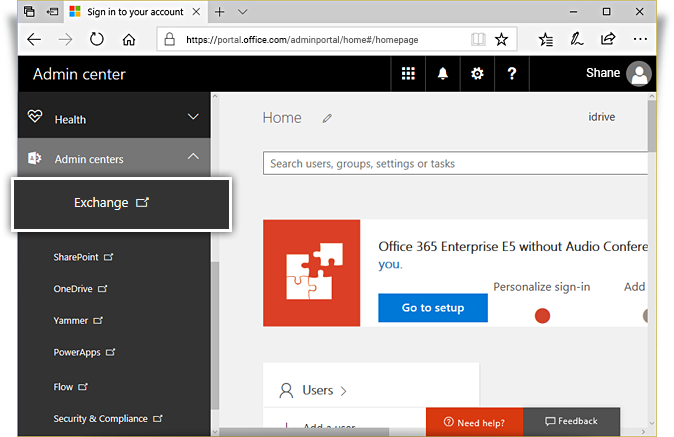 Global administrators must have appropriate impersonation rights to backup and restore Office 365 exchange mailboxes. 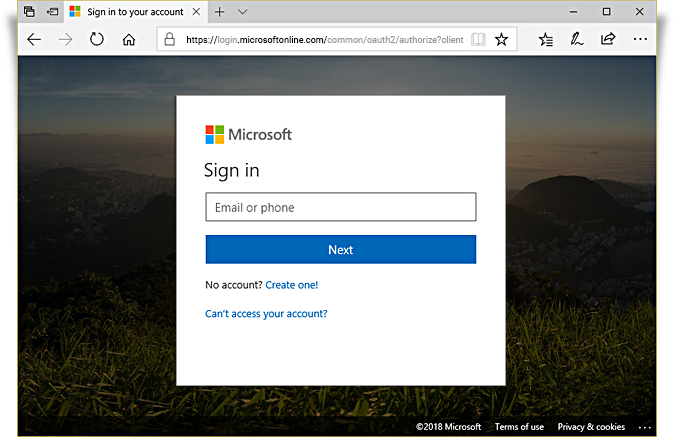 Login to https://portal.office.com as Admin. Click and go to 'Admin’. 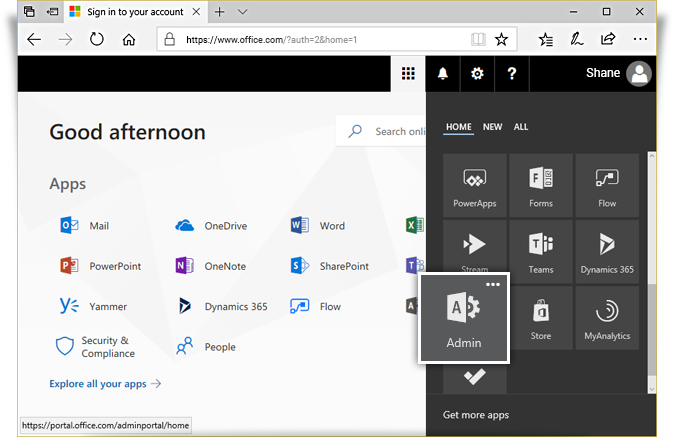 Click 'Admin centers’ in the left navigation bar, and then click 'Exchange’. 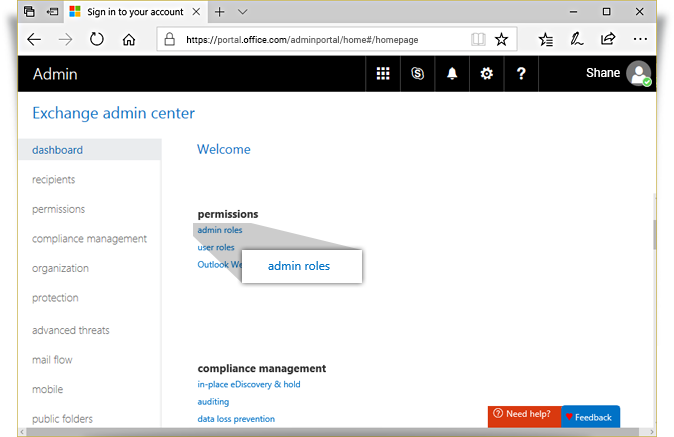 In the 'Exchange admin center' page, click 'Admin Roles' under 'Permissions'. To add a new role, click . 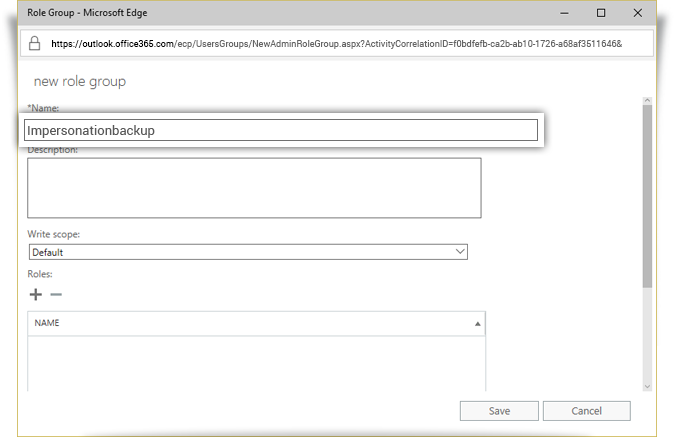 Enter the name as 'Impersonationbackup' in the 'new role group' window. To add a role, click under 'Roles'. 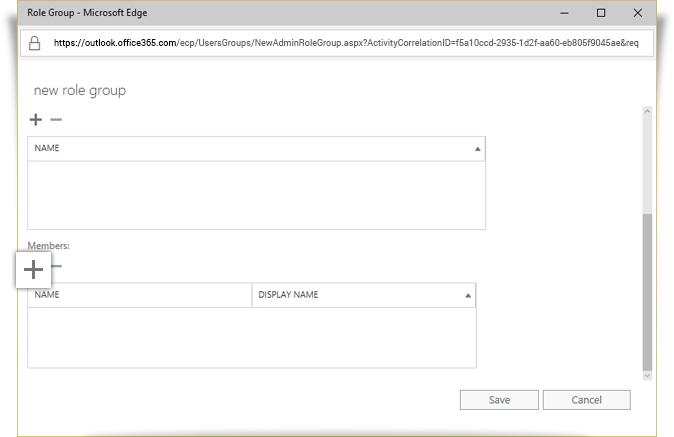 Select 'ApplicationImpersonation', and click 'add'. Click 'OK'. Click under 'Members' to add a new member to the role group. 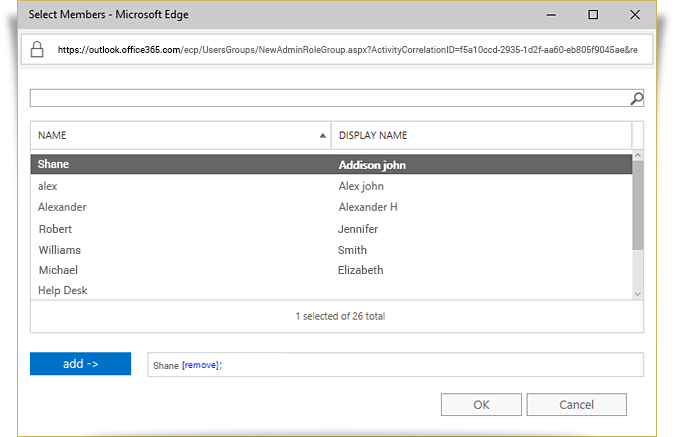 Select your admin account, and click 'add'. Click 'OK'. Note: Along with impersonation rights, we recommend that you assign global administrators with discovery management rights. For information on assigning discovery management rights, refer discovery management FAQs. 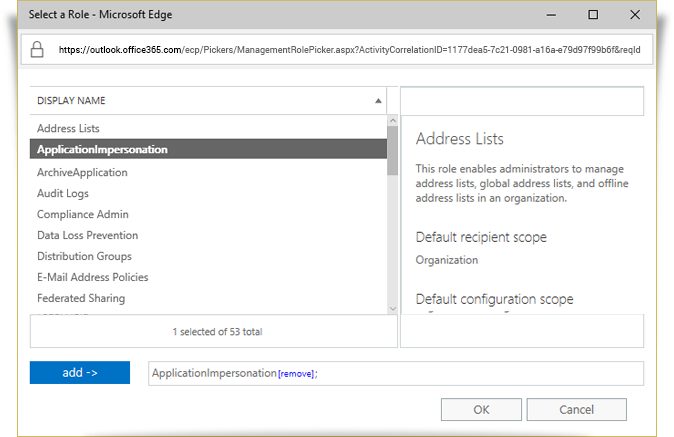 Before granting impersonation rights, you must first connect to the Office 365 exchange server. In the Administrator privilege mode, open ‘Windows Powershell’. 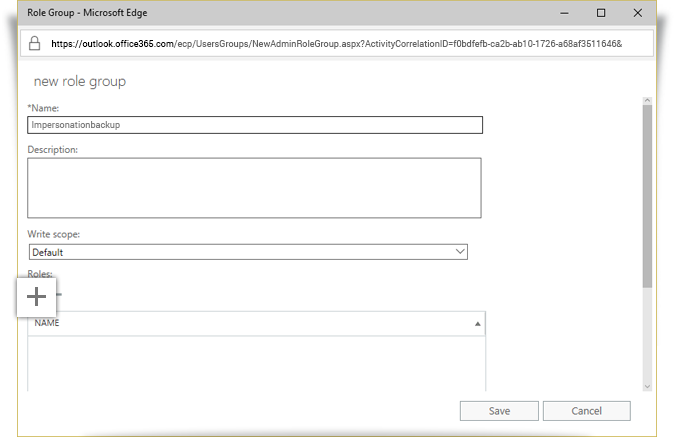 Note: Assign global administrator login credentials to a variable to ensure that the credentials are included in the connection command. 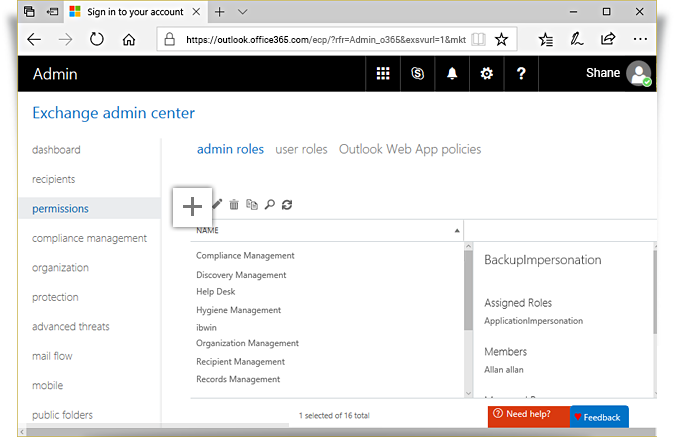 C:\Windows\system32> New-ManagementRoleAssignment –Name:backupimpersonation –Role:ApplicationImpersonation –User: "admin@domain.com"